Philip Baker was educated at Queen Mary and Westfield College, London, the University of Sheffield and Corpus Christi College, Cambridge. His field of research is the history of Britain in the early modern period, with a specific interest in two related subject areas. The first is the history of Civil War radicalism, in particular the Leveller movement and its relationship with the City of London and the New Model Army. The second is the political, social and economic history of London between the fifteenth and eighteenth centuries, with a focus on the politics of citizenship, family and household size and structure, and welfare provision. 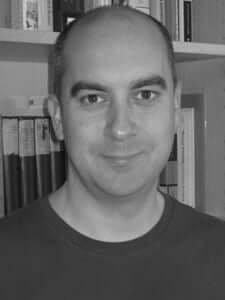 Dr Baker has published in Historical Journal, History Compass and London Journal, contributed to a number of volumes of collected essays and is a co-author of People in Place: Families, Households and Housing in Early Modern London (2008). 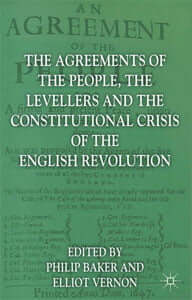 He is the editor of The Levellers: The Putney Debates (2007) and has co-edited, and contributed to, a collection of essays, The Agreements of the People, the Levellers and the Constitutional Crisis of the English Revolution (Palgrave Macmillan, 2012). He is a Research Assistant of the History of Parliament Trust; a Research Associate of the Oxford Dictionary of National Biography; and an Associate Fellow of the Institute of Historical Research, where he teaches on the MA in Historical Research. He is willing to supervise graduate research on civilian or army radicalism during the Civil War and Interregnum, and on the history of London in the seventeenth century.